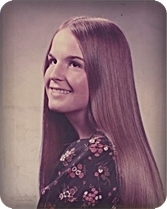 Patricia Ann "Pat" Carroll (Holl), age 61, of Middleville, passed away on Wednesday, October 3, 2018. A registered nurse, Pat was born in Flint, MI and is formerly of South Orange, NJ. Her husband, Peter, and father, William H. Holl, preceded her in death. She will be deeply missed by her children, Colleen Carroll and Patrick Carroll; her mother, Betty Ann (Lerczak) Holl; sisters, Lisa (Sam) Samson, Lynn Holl (Russ Hartman), Kathy (Paul) Harris; brother, William "Bill" Holl; brothers-in-law and sisters-in-law, Joe (Faith) Carroll, Kathy (Tony) Powell, Bill (Janice) Carroll, Beth (Ralph) Viviano, Adele Carroll (Keith Winnard), Chris (Yolanda) Carroll; aunt, Mary Ann Sullivan; several nieces, nephews, and cousins. The family will greet visitors on Saturday, October 6, from 10 - 12 noon at Stroo Funeral Home, where the funeral service will begin at 12 noon. Memorial contributions may be made to the Pancreatic Cancer Action Network.